Goodwood Grand Singapore a stunning architecture enveloped entirely in style and unprecedented luxury that offers unmistakable refined quality when it comes to higher living. Savour the quiet that echoes throughout the rich landscapes and excellent surroundings. Unwind in privacy within the desirable Tower residences or magnificent Strata Bungalows. Or simply revel in the bright lights of the big city. At Goodwood Grand, you’ll discover a verdant yet attractive enclave in the heart of town; the city’s garden residence that’s yours to own. A freehold private residential development comprising 65 units of 2 and 3 bedroom Suites or Penthouses and 8 magnificent multi-level Strata Bungalows, which are luxuriously designed with a private swimming pool, private home lift, roof terrace and ample basement car park. Coupled with a beautiful rich sky terrace, the Tower showcases architecture inspired by nature and its green habitat. The eight Strata Bungalows lend an extra touch of prestige and beauty to Goodwood Grand. Towering over the surrounding foliage, the Tower features a seamless integration of clean lines and vertical elements, extending from ground to sky. Goodwood Grand is only a stone’s throw away from the world renowned Orchard Road shopping belt, where numerous shopping malls like ION Orchard, Paragon, Takashimaya, and other amenities like banks, cinemas, restaurants, and cafes are all around. For some famous local food, residents can hit the Newton Circus nearby. 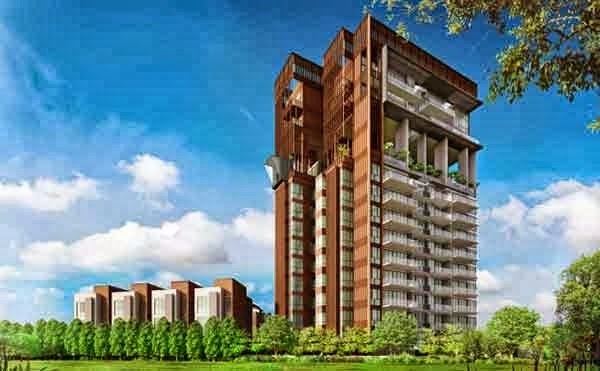 Goodwood Grand is located along Balmoral Road within Bukit Timah enclave at District 10, a superb location in terms of advantage and serenity. Despite its tranquillity, it is a few minute away from Orchard Road and surrounded by good schools. For commuting, the upcoming Stevens MRT and Newton MRT is a few minute walk away, while CTE and Bukit Timah Road are within vicinity. For families with school going children who are looking for an ideal home, all these schools are located near Goodwood Grand: Raffles Girls’ Secondary School, Chinese International School Singapore (CNIS), Anglo Chinese Primary School, Anglo Chinese (Barker Road) Secondary School, Singapore Chinese Girls’ School, Chatsworth International, Barker Road Methodist Church Kindergarten. For more info look at http://www.newlaunchmummy.com for the recent residential properties in Singapore or call the marketing group at 6100 2930 for enquiries. Today, there have been 2 visitors (88 hits) on this page!